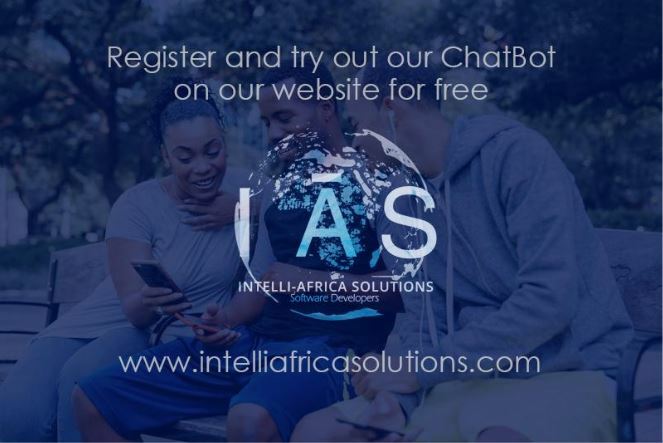 Local startup Intelli Africa Solutions (IAS) is offering FREE Conversational Chat Bots to Zimbabwean Corporates, SMEs and Government Bodies. 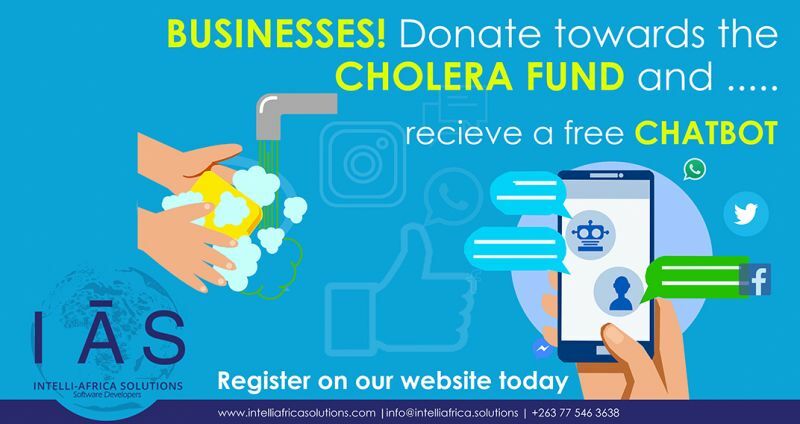 Intelli Africa Solutions has also enabled its automated bot (IntelliBot) to allow visitors on its website www.intelliafricasolutions.com to donate towards The Cholera Fund through the Steward Bank Kanzatu-Nzatu National Cholera Crisis Fund. Intelli Africa Solutions is a tech startup company comprising of a young, energetic team with the sole objective of providing innovative software solutions spanning across all industries. IAS prides itself on building software solutions that solve existing problems using modern technologies whilst improving customer convenience and satisfaction. Currently, IAS is building software solutions for a number of Zimbabwean banks, insurance and media houses. Why pay foreign currency on software licenses when IAS can develop your solution locally?? IAS is offering sizeable discounts to companies that migrate from their imported software solutions towards a custom built IAS solution. Contact IAS today to have IAS develop your solution for you.